Predictive Maintenance Ltd. can help you decide which options would work best for you. 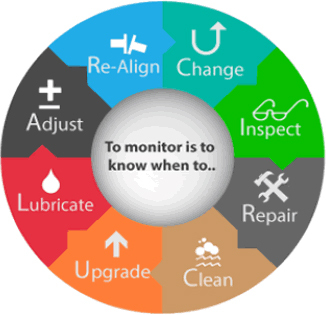 Predictive Maintenance is the first and leading provider of condition monitoring services and sales in Ireland. Established in 1988 we have been busy since then helping small and large companies with smart maintenance. Our client list includes major Irish companies in a variety of sectors and our team of engineers has many years condition monitoring experience in Ireland, Eastern Europe and Australia. Almost certainly we have experience in a company like yours. Not only can we help you identify developing issues but we can proactively prolong machine life by in-place balancing and laser alignment. If it rotates we can help you!